10/01/14 -- EU grains traded mostly lower, with wheat under particular pressure from a bearishly construed USDA report released late in the session. Jan 14 London wheat closed GBP1.30/tonne easier at GBP154.50/tonne and new crop Nov 14 ended the day setting another new lifetime contract lowest ever close, down GBP2.00/tonne at GBP145.25/tonne. Jan 14 Paris wheat finished EUR4.50/tonne easier at EUR194.75/tonne, Mar 14 Paris corn closed EU0.50/tonne higher at EUR171.50/tonne, whilst Feb 14 Paris rapeseed fell EUR1.75/tonne to EUR356.75/tonne. For the week Jan 14 London wheat shed GBP6.45/tonne and Nov 14 lost GBP4.85/tonne. Jan 14 Paris wheat slumped EUR13.25/tonne, going off the board today, whilst Mar 14 Paris corn lost a euro and Feb 14 Paris rapeseed surrendered EUR9.75/tonne. Brussels issued 719 TMT of EU soft wheat export licences this week, to add to the near 1 MMT granted across the festive fortnight, taking the cumulative volume so far this season to 15.1 MMT, almost 50% up on a year ago. French soft wheat exports in November were 1.3 MMT, of which more than 800 TMT went to non-EU destinations (and more than 50% of that went to Algeria). That takes Jul/Nov soft wheat exports to 6.9 MMT, an increase of 12% versus the same period in 2012/13. The Russian Ministry said that more than 95% of winter grains there are in good/satisfactory condition, even better than Ukraine's 92%. There is continued market chatter though that the incredibly mild weather that both countries have been experiencing does mean an acute lack of snow cover, placing crops at risk from a sudden deep freeze, should one occur. "High amplitude waves in the jet stream would be rearranged next week, leading to much colder conditions than previously. Not only Europe but also Russia is expecting much colder weather with a deepening trough in the jet stream," say Martell Crop Projections. "Saratov, Russia, would go from 36 F today to only 17 F on Wednesday, January 15. In Poland temperatures are expected to decline 15-20 degrees from mid 40's F today to upper 20's F next week. It is however drought, not cold, that poses the greatest threat to wheat in European Russia," they suggest. India's Ag Commissioner said that the country's wheat harvest could reach an all-time high 100 MMT this year (versus 92.5 MMT in 2013), forecasting the planted area at a record 31 million hectares versus 28.6 million a year ago. The Indian government have increased the price that they will pay local farmers for wheat by 3.7% this year to INR1,400 per 100kg, or around USD226-GBP137/tonne to encourage plantings in an election year. The Indian government have now begun selling new crop wheat this week, securing their first deal for Apr/May shipment at USD270/tonne FOB. Late in the day the USDA pulled the rug from underneath an already shaky wheat market by increasing the size of the global crop from the record 711.4 MMT forecast last month to a new all-time high 712.7 MMT. World wheat consumption was cut by a little over 1 MMT to 703.4 MMT, taking ending stocks from 182.8 MMT to 185.4 MMT, 5.3% more than in 2012/13. The trade was expecting a small reduction in global wheat inventories. That little lot, which included a surprise rise in US wheat ending stocks in 2013/14, sent US wheat markets sharply lower and dragging Europe down with them at the close of play. It will be interesting to see how the European market reacts on Monday after traders have had the chance to pour over the minutiae of the report over the weekend. The data dished up by the USDA included another rise in EU-28 wheat exports, up from 25 MMT to a record 26 MMT (and 15% higher versus 22.6 MMT in 2012/13). There was also a small downwards revision to the EU-28 2013 wheat crop to 142.9 MMT, although consumption here was also forecast to decline by 1 MMT from last month to 119.75 MMT. 09/01/14 -- Soycomplex: Beans closed mixed, around 4 cents lower to 4 cents higher in what looks like positioning ahead of tomorrow's USDA report. Bear in mind also that Jan 14 contracts go off the board on Tuesday. Weekly export sales of only 155,500 MT were a marketing-year low for beans, but with the USDA target for the season already matched what does it really matter? That total included sales to China of 387,900 MT, including 299,800 MT switched from unknown destinations. Weekly shipments of 1,675,300 MT were impressive once more and included 1,217,800 MT going to China. Separately the USDA also announced the sale of 110,000 MT of beans to China for 2014/15 delivery. CONAB tweaked their forecast for the Brazilian soybean crop a little higher, up from 90.03 MMT to 90.33 MMT, although it is reported that the Ag Minister said that production could easily top 95 MMT. It's highly likely to be a record crop which ever way you look at it, it's just a case of how big a record. There's still some talk of some Brazilian farmers possibly planting soybeans on soybeans this year, such is their dissatisfaction with the current loss-making domestic corn price in areas of the interior. FC Stone estimated the Brazilian bean crop at 90.2 MMT versus a previous estimate of 89.3 MMT. They also forecast 2013/14 Brazilian soybean exports at 46.2 MMT. Reports suggest that the Mato Grosso bean harvest is now around 2.5% complete. Argentina meanwhile has had some rain this week, and there's talk of a wet February in the longer range forecast. South Korea's KFA bought 30,000 MT of South American origin beans for May shipment. Now we sit and wait for tomorrow's USDA data. Jan 14 Soybeans closed at $12.96 1/4, down 4 1/2 cents; Mar 14 Soybeans closed at $12.73 3/4, up 4 1/2 cents; Jan 14 Soybean Meal closed at $433.00, up $2.40; Jan 14 Soybean Oil closed at 37.74, up 31 points. Corn: The corn market closed around 5 cents lower. Weekly export sales came in at a pretty poor 155,300 MT, which was below expectations. That included some corn switched from China to Japan and South Korea as the MIR 162 dispute rumbles on. CONAB raised slightly their forecast for Brazilian corn production from 78.78 MMT to 78.97 MMT, which is far higher than the USDA's forecast of 70 MMT. That looks somewhat ambitious given that the state of Parana is said to have planted the smallest full season corn area on record (669k ha, down 24% on last year) and that Mato Grosso growers are expected to sow 12% fewer safrinha corn acres due to price considerations. FC Stone estimated the Brazilian total corn crop at 72.4 MMT versus previous estimate of 71.8 MMT, and down 10% from a year ago, which looks closer to the mark. Trade estimates for tomorrow's USDA reports see US corn production averaging 14.066 billion bushels versus the current USDA forecast of 13.989 billion. Yields are forecast at 161.2 bu/acre versus 160.4 bu/acre previously. US 2013/14 ending stocks are estimated at 1.861 billion bushels versus 1.792 billion last time. World 2013/14 carryout is seen at 163.2 MMT versus 162.46 MMT previously. The Argentine corn crop will probably be called around 1 MMT lower than last month's 26 MMT it is thought. UkrAgroConsult forecast a 5.6% increase in corn production in Ukraine in 2014. The USDA's FAS said that Spain's corn harvest this season was 4.8 MMT versus 4.2 MMT in 2012/13. Despite tumbling futures markets, nearby cash premiums in the US are firm as the recent severe winter weather has virtually brought the physical movement of grains to a halt. It will be interesting to see what the USDA say with regards to Chinese corn imports tomorrow, given the recent spate of rejections. JC Intelligence earlier in the week cut their forecast for Chinese corn imports to 4.4 MMT versus the USDA's current estimate of 7.0 MMT. Mar 14 Corn closed at $4.12, down 5 cents; May 14 Corn closed at $4.20 1/4, down 5 cents. Wheat: The wheat market settled around 2 cents higher to 4 cents weaker across the 3 exchanges. Weekly export sales of only 110,800 MT - a marketing year low - didn't help and fell well below expectations of 350-550 TMT. The USDA's FAS estimated Spain's 2013 wheat crop at 6.7 MMT versus 4.7 MMT a year previously. CONAB forecast Brazil's wheat crop at 5.47 MMT versus a previous estimate of 5.36 MMT. There's talk of Brazil buying more US wheat this week. UkrAgroConsult estimated Ukraine's 2014 wheat crop at 21.64 MMT, up 3% versus 2013. They said that winter grain conditions are "one of the best in recent years" and said that 92% of crops are rated good/satisfactory. They also forecast the 2014 Ukraine barley harvest 18.3% higher at 8.55 MMT on a combination of better yields and increased plantings. Agritel said that the recent run of unusually mild conditions (daytime highs of 7 C in Kiev and 4 C in Moscow) would tail off next week as temperatures fall back below zero. No FSU crop damage is expected at this stage. The Buenos Aires Grain Exchange, who have resolutely stood by an Argentine wheat production estimate of 10.35 MMT for some time now, finally trimmed their outlook a little to 10.1 MMT today. For US Dec 1 wheat stocks the average trade estimate in tomorrow's USDA report is 1.4 billion bushels, from within a range of estimates of 1.305-1.768 billion. Sep 1, 2013 wheat stocks were 1.855 billion and Dec 1, 2012 wheat stocks were 1.671 billion. The USDA will also report on US winter wheat acres with the average trade guess coming in at 43.5 million, from within a range of 42.5-44.6 million and last year's 43.09 million. Mar 14 CBOT Wheat closed at $5.84 1/4, down 4 1/2 cents; Mar 14 KCBT Wheat closed at $6.39, up 2 cents; Mar 14 MGEX Wheat closed at $6.29 1/4, up 2 1/4 cents. 09/01/14 -- It was another brutal day for EU grains, with London wheat slumping to the lowest levels on a front month since Oct 1 and new crop Nov 14 setting fresh contract lows. Jan 14 London wheat finished the day down GBP3.70/tonne at GBP155.80/tonne, whilst new crop Now 14 London wheat ended GBP1.00/tonne lower at GBP147.25/tonne. Jan 14 Paris wheat fell EUR4.75/tonne to EUR199.25/tonne for a first close below EUR200/tonne since mid-October. Mar 14 corn was down EUR1.75/tonne to EUR171.00/tonne, whilst Feb 14 Paris rapeseed managed to recover some of yesterday's losses, closing EUR1.50/tonne higher at EUR358.00/tonne. London wheat dipped close to GBP150/tonne back at harvest time, before recovering to develop a sideways pattern around the GBP163-166/tonne range in which is stayed from mid-October through to the end of the year. So where has it all suddenly gone wrong in 2014? The answer seems to lie with corn, not wheat. As well as a record US corn crop to contend with, the EU market also has a record Eastern European and Black Sea corn harvest on it's doorstep. In the aftermath of a corn harvest that's not long been finished, we now have lots and lots of it arriving here. Hence Brussels usurping an impressive looking EU soft wheat export licence total of nearly 1 MMT over the festive fortnight with an even larger corn import licence total of 1.2 MMT. Much of that will be coming from Ukraine who've exported a record corn volume in each of the last two months. With this in mind, the trade is already looking at the new crop situation, and it seems to currently be thinking is this all going to happen again 12 months from now? Current forecasts indicate that Europe is probably in for a wheat crop at least equal to (say Informa), if not 2% higher (Strategie Grains) than last year. We are also probably looking at an EU-28 corn crop modestly higher than last year. The key to the matter though may be that both Ukraine and Russia will almost certainly have larger corn crops again in 2014 than their recently harvested record 2013 production. This situation will be foisted on them courtesy of an enforced reduction in winter grains area due to excessive wetness at planting time in the autumn/early winter. UkrAgroConsult today forecast a 2014 Ukraine grain harvest 6% higher than last year, including a 5.6% rise in corn production. In fact they even estimate the 2014 Ukraine wheat crop higher despite reduced winter plantings, up 3%, courtesy of an anticipated improvement in yields. Strategie Grains say that their anticipated rebound in wheat production in the EU will likely be spearheaded by the UK, Sweden and Denmark who will harvest an extra 5.8 MMT of wheat between them this year. 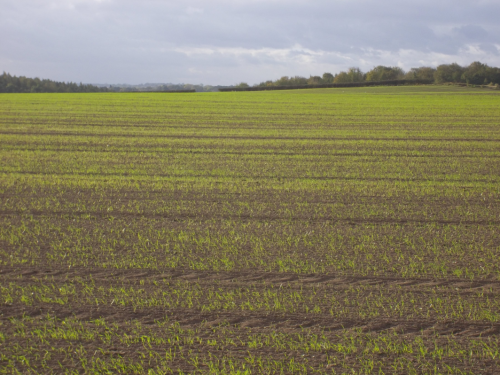 UK wheat plantings are forecast 22% higher for the 2014 harvest at around 2 million hectares. A recovery to anything like "normal" yields also would see production here leap 25% or even more. 08/01/14 -- Soycomplex: Beans closed lower on all but the front month which got support from strong nearby demand - the USDA confirmed another sale of 115 TMT of US soybeans to China for 2013/14 shipment. Overnight rain for northern Argentina was seen as bearish going forward, even if the rest of the country remains dry. Argentine soybean conditions good/excellent were said to have declined from 93% to 87% in the past week. Dr Cordonnier reported that early soybean yields in Brazil's leading producing state of Mato Grosso are "very good" for fast maturing varieties following abundant December rains. The state's harvest will really ramp up mid-January, he said. Almost a quarter of the state's crop was planted in one week in late October, meaning that the majority of this will all reach maturity at the same time, which will lead to frenetic harvest activity by the end of the month, he added. Yield potential further south is not so optimistic however, he noted. The Argentine peso hit an all time black market low against the US dollar. Whilst the official exchange rate is currently fixed at around 6.6 peso's to the dollar, the "real" rate on the black market is closer to 11, which is up sharply from 8 only six months ago. This will likely further encourage Argentine farmers to hoard beans as a hedge against an unofficial inflation rate of around 25-28%. 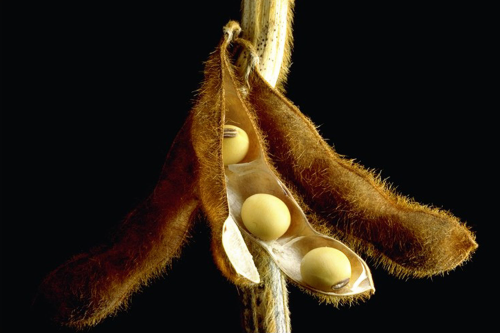 Monsanto said that profits on soybean seed sales were up 42% in the Sep/Nov quarter, highlighting the growth in plantings in South America in 2013/14. The trade awaits the USDA crop production, demand and quarterly stocks report on Friday. They might raise 2013 US soybean production, but also increase exports, keeping US 2013/14 ending stocks tight. Before that, tomorrow we get the regular weekly export sales report, with another bumper week of around 700-900 TMT expected for beans. Jan 14 Soybeans closed at $13.00 3/4, up 1 1/4 cents; Mar 14 Soybeans closed at $12.69 1/4, down 6 3/4 cents; Jan 14 Soybean Meal closed at $430.60, down $4.00; Jan 14 Soybean Oil closed at 37.43, down 27 points and a new lowest for a front month since July 2010. Corn: The corn market slumped to new lows. For all the talk of fund rebalancing, and maybe needing to buy up to 100,000 corn contracts, or even more, they were credited with ending up net further sellers of around 14,000 lots on the day. An improved weather outlook in South America put prices under pressure, as too did spillover weakness from wheat. Even so, reports suggest that Argentine corn rated good/excellent is now only 71% from 96% previously. "Very generous rainfall has developed in South Brazil, replenishing dry fields after a period of intense heat and moisture stress. Drought has been virtually resolved in Parana with 138 millimeters of rainfall since Christmas. Recurring showers in Rio Grande do Sul have also improved corn and soybean conditions with 90 millimeters of rainfall the past 10 days. Recent rainfall was beneficial replenish dry fields. However the rainfall was less abundant than South Brazil leaving some areas of the farm belt dry. On average, Argentina’s grain belt received 100 mm of rainfall in the recent 30 days, compared to 120 mm normally. More rain would be helpful," said Martell Crop Projections. Trade estimates for tomorrow's weekly export sales report for corn are 200-700 TMT. Reuters reported that Shanghai JC Intelligence had cut their forecast for Chinese corn imports by 33% to 4.4 MMT, well below the USDA's current 7 MMT estimate. The latter of course will issue revised demand numbers on Friday. Reuters did however also report that China was relaxing, or at least speeding up, testing of DDGs for import, and that increasing volumes were now starting to get through customs. A US Grains Council delegation are said to be travelling to China this week in an attempt to resolve the dispute regarding the safety of MIR 162 corn. Asian buyers are still said to be holding off booking US corn in the hope of picking up cheap rejected cargoes. The weekly ethanol production report from the US Energy Dept showed output up 6,000 barrels/day on last week at 919,000 bpd. Production needs to average around 908,000 barrels/day to match the USDA target for the season. Ethanol stocks however rose 500,000 barrels to 16.1 million. The Ukraine Ministry said that the country exported a record 3.6 MMT of corn in both November and December, and that their 2013/14 marketing year to date exports are up 46% at 9.5 MMT. Mar 14 Corn closed at $4.17, down 9 cents; May 14 Corn closed at $4.25 1/4, down 8 1/2 cents. Wheat: The wheat market crashed to new lows, with Mar 14 CBOT wheat ending at the lowest levels for a front month since Dec 2011. As with corn, the anticipated fund buying as part of their 2014 rebalancing program failed to show up, essentially pulling the rug from under the market. Funds were in fact estimated to have added to their CBOT wheat short position to the tune of around 5,000 contracts at the end of the session. EU exports remain very strong, with a further near 1 MMT of soft wheat cleared by Brussels in the past 2 weeks, but EU wheat isn't US wheat is it? India are actively looking to sell wheat too, picking up a best bid of $282.62 in their tender. Bangladesh bought optional origin wheat from a Cypriot seller. Jordan declined in their tender. Brazilian millers are said to be asking the government to allow 2.5 MMT of wheat to be allowed into the country duty free (ie from outside the Mercosur trade bloc) in the Mar/Sep period. Discussions between the Brazilians and Argentines are expected to take place at the weekend to see what volume, if any, of the already purchased Argentine wheat that Brazil has got bought will be allowed out of the country. Uruguay are viewing the situation as an opportunity to export some of their estimated wheat surplus (said to be in excess of 1 MMT) to Brazil, having shipped them 150 TMT in December. Brazil's CONAB release their latest crop production and import/export numbers tomorrow. For wheat they estimated production at 5.36 MMT and imports at 6.7 MMT last month. Brazil are the largest wheat buyer in South America. In Friday's upcoming USDA report, for US Dec 1 wheat stocks the average trade estimate is 1.4 billion bushels, from within a range of estimates of 1.305-1.768 billion. Sep 1, 2013 wheat stocks were 1.855 billion and Dec 1, 2012 wheat stocks were 1.671 billion. The USDA will also report on US winter wheat acres, with the trade expecting a rise of 1-3% on last year. It is also thought that current low corn prices might also stimulate an increase in US spring wheat plantings too. Much warmer weather is on the way for the US this weekend, easing fears of winterkill. Trade estimates for tomorrow's weekly export sales report for wheat are around 350-550 TMT. Mar 14 CBOT Wheat closed at $5.88 3/4, down 13 3/4 cents; Mar 14 KCBT Wheat closed at $6.37, down 8 1/4 cents; Mar 14 MGEX Wheat closed at $6.27, down 3 3/4 cents. 08/01/14 -- EU grains closed lower across the board in what proved to be a dismal day at the office. Even the news that Brussels had issued almost 1 MMT of soft wheat export licences for the 2 weeks across the Christmas period (to Dec 31) failed to provide little in the way of support. Jan 14 London wheat ended GBP1.50/tonne lower at GBP159.50/tonne, and Nov 14 fell GBP1.75/tonne to GBP148.75/tonne. Jan 14 Paris wheat finished dropped EUR2.25/tonne to EUR204.00/tonne, Jan 14 Paris corn fell EUR2.25/tonne to EUR172.75/tonne, whilst Feb 14 Paris rapeseed crashed EUR6.00/tonne to EUR356.50/tonne. London wheat fell below GBP160/tonne for the first time since early October on a front month, and new crop Nov 14 slumped below GBP150/tonne for the first time ever to set a fresh contract low. Feb 14 Paris rapeseed meanwhile fell to the lowest levels for a front month since the midst of harvest-time back in August. As well as the export numbers, the weak euro helped to minimise losses a bit for wheat across the Channel. Eurozone unemployment held at a record 12.1% in November, according to data released today. Greece (27.4%) and Spain (26.7%) hold the unenviable positions in a table that even Manchester United wouldn't wish to top. Sterling strength added to London wheat's woes. For all the talk that fund rebalancing of wheat and corn positions in the US markets would see them in to buy significant volumes of both in the coming days, there was no sign of it heading into the close of European business, with both down heavily. This of course put EU grains under pressure, probably more pressure than was warranted, but the market is the market. UK feed manufacturers report that business is slow, despite the time of year, depressing demand for feed grains. Supplies of cheaper low protein raw materials such as wheatfeed, soya hulls, PK expellers etc are plentiful and prices are therefore low. There's also a mountain of cheap FSU corn kicking around, further depressing demand for feed wheat. 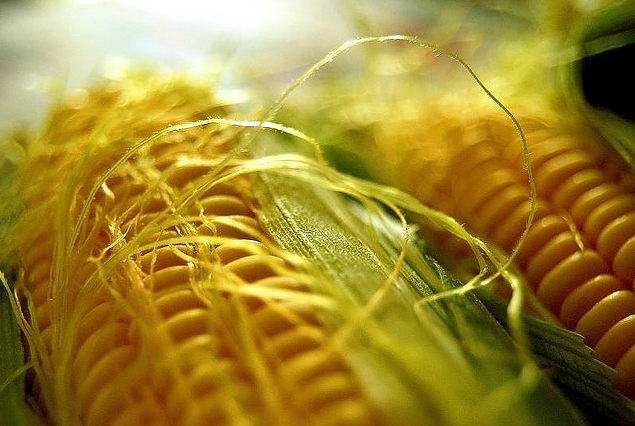 Ukraine exported a record 3.6 MMT of corn in both November and December, according to their Ag Ministry. They've now exported 9.5 MMT of their record corn crop since the start of the marketing year (to Dec 31) - a 46% increase on a year ago. Friday's upcoming USDA reports are expected to peg world wheat ending stocks at an ample 182.57 MMT in 2013/14, from within a range of estimates of 181.0-184.2 MMT. The US weather outlook is suddenly trending warmer, much warmer, allaying winterkill fears. The weather situation in Russia and Ukraine continues to be unseasonably mild. Reports suggest that crop conditions are generally very good, and much better than a year ago, although that could change if and when a sharp freeze comes along for crops unprotected by snow. Chinese firm JCI Intelligence cut their forecast for Chinese corn imports this season by a third from 6.6 MMT to 4.4 MMT, and far below the USDA's current 7 MMT estimate due to the ongoing dispute over non-approved GMO varieties. Rapeseed values took a pummelling as demand remains slack due to "very high" European vegoil stocks, according to ODA. On the international tender front, Bangladesh bought 50 TMT of wheat from Cypriot firm Midgulf at $311 C&F for Jan/Feb shipment. India's STC reportedly picked up a best bid of $282.62 in a tender to sell 160 TMT of wheat also for Jan/Feb shipment in past of the government's effort to make some room ahead of the 2014 harvest, which is thought could possibly be record large. Jordan made no purchase in their tender to buy 100 TMT of wheat, but will probably re-tender again soon as is their usual style. Iraq are in the market for 50 TMT of US, Canadian or Australian wheat. 07/01/14 -- Soycomplex: Nearby beans and meal continue to be supported by strong demand. That demand was underlined by the USDA announcing the sale of 350 TMT of US beans to China for 2013/14 shipment, contrary to the bears' expectations that large scale Chinese cancellations might be just around the corner. There's talk of China seeking/buying 2-4 more US bean cargoes for March/April shipment, as well as actively shopping for up to 300 TMT of Brazilian beans for later on in the year. Chinese industry analysts estimated 2013 bean imports at 62.86 MMT versus 58.38 MMT in 2012. Dr Cordonnier forecast the Brazilian bean crop at 90.0 MMT, unchanged from previously. He was also said to have estimated the Argentine bean crop unchanged from last time at 56.0 MMT. Both would be record output. The average trade estimate for Friday's 2013 US soybean production is 3.28 billion bushels. The range of estimates are 3.24–3.33 billion. The current USDA estimate is 3.258 billion and 2012 crop was 3.034 billion. Yields are forecast at 43.3 bu/acre, from within a range of estimates of 42.7-44.0 bu/acre. The current USDA estimate is 43.0 bu/acre and 2012 yields were 39.8 bu/acre. In Argentina's Buenos Aires province "extreme heat is predicted today (98 F) and again Wednesday (95 F) falling to 90 F Thursday-Friday. A sharp cool front is expected on the weekend along with scattered strong thunderstorms. The GFS model predicts at least one inch of rainfall in northern Buenos Aires province and throughout the Argentina grain belt. If heavy rainfall develops, as predicted, crop damage would be mitigated," said Martell Crop Projections. Jan 14 Soybeans closed at $12.99 1/2, up 2 3/4 cents; Mar 14 Soybeans closed at $12.76, down 3/4 cent; Jan 14 Soybean Meal closed at $434.60, up $5.80; Jan 14 Soybean Oil closed at 37.70, down 17 points. Corn: The corn market closed around 2 cents lower in two-sided trade. There's no sign yet of a resolution to the dispute between the US and China on the non-approved MIR 162 corn variety. Some reports however suggest that more US corn and DDGs are now starting to clear Chinese customs. Dr Cordonnier estimated the Brazilian corn crop at 68.5 MMT unchanged from his previous estimate. He cut his forecast for the Argentine corn crop to 23.0 MMT from a previous estimate of 24.0 MMT. Heat and dryness remains an issue in Argentina where corn planting is said to be around 80% complete, with about 25-30% of the crop pollinating, putting corn more at risk of crop losses than soybeans currently. "Buenos Aires growing conditions have become increasingly more stressful from an extremely dry atmosphere. Pehuajo, a farm town in western Buenos Aires , reported a maximum temperature of 103 F on Sunday, January 5. This was followed by 59 F for the night low temperature, causing a range of 44 F degrees. This indicates an extremely dry atmosphere, more typical of a desert climate than the humid temperate zone, where the daily range in temperatures is 20 F degrees," said Martell Crop Projections. Trade estimates for Friday's USDA report have the 2013 US corn crop at an average of 14.07 billion bushels, the range of estimates is 13.897–14.255 billion. The latest USDA estimate was 13.989 billion and the 2012 crop was 10.780 billion. For yields the average trade estimate is 161.2 bu/acre, from within a range of estimates of 159.8–163.3 bu/acre. The current USDA estimate is 160.4 bu/acre and the 2012 yield was 123.4 bu/acre. The Energy Dept will release their latest weekly ethanol grind data tomorrow. Last week's production fell to 913,000 barrels/day from 926,000 bpd the previous week. Fund rebalancing of futures positions is expected to start tomorrow and last 5 days, and they are thought likely to be in the market for a significant volume of corn. Mar 14 Corn closed at $4.26, down 1 3/4 cents; May 14 Corn closed at $4.33 3/4, down 2 cents. Wheat: The wheat market closed little changed. The ongoing very cold spell gripping the US supports the market, with one weather analyst quoted as saying that 15% of the US winter wheat crop was "at risk" from winterkill damage. At risk doesn't necessarily mean "lost" of course, but the truth is that nobody knows right now what, if any, damage has been done at all. "Extreme cold continues in North America for the second straight day. Sub-zero F temperatures this morning delved deep into the Deep South with 16 F reported at New Orleans, Louisiana, and single digits in Georgia. Midwest temperatures are somewhat “less cold” than yesterday though still well below zero F. This is the coldest weather in the United States heartland since 1988. The weather pattern is about to undergo a significant change however. Extreme cold would give way to moderating temperatures Thursday –Sunday. Chicago, Illinois, is expected to warm up to 37 F Friday whilst by Sunday St Louis, Missouri, may reach 50 F. The deep, cold trough in the jet stream, now present, would retreat north into the Great Lakes area at the weekend, while a warm ridge in Western United States expands into the US heartland. Winter wheat growing areas in Kansas would see a rapid snow melt, as temperatures rise into the low low 50s F on Saturday-Sunday. Below freezing temperatures would continue at night. Thus the warm-up would not be strong enough to coax wheat out of dormancy," said Martell Crop Projections. The USDA will report Friday on US winter wheat planted area, with the average trade guess for all wheat coming in at 43.5 million acres. Note that this is from within a fairly wide range of estimates of 42.5-44.6 million. Last year the total winter wheat acreage was just over 43 million. We will also get the latest quarterly stocks numbers, with US Dec 1 wheat stocks estimated at an average of 1.4 billion bushels, from within a range of 1.3-1.8 billion and versus 1.67 billion a year ago. There is some debate as to how much wheat may have been fed in the US during September as feeders awaited the arrival of the 2013 US corn harvest. Mar 14 CBOT Wheat closed at $6.02 1/2, down 3 1/4 cents; Mar 14 KCBT Wheat closed at $6.45 1/4, up 1 1/4 cents; Mar 14 MGEX Wheat closed at $6.30 3/4, up 1/4 of a cent. 07/01/14 -- EU grains traded mostly lower, although Jan 14 London wheat closed GBP0.50/tonne firmer at GBP161.00/tonne. However Nov 14 ended the day setting a new lifetime contract low and the contract's lowest ever close of GBP150.00/tonne, which was GBP0.40/tonne easier on the day, having traded down to GBP149.50/tonne for the first time ever at one stage. Jan 14 Paris wheat finished EUR2.50/tonne easier at EUR206.25/tonne, Jan 14 Paris corn closed EU0.25/tonne weaker at EUR175.00/tonne, whilst Feb 14 Paris rapeseed slumped EUR4.75/tonne to EUR362.50/tonne. Fundamental news is pretty scarce ahead of Friday, with news services in Russia and the FSU still closed for public holidays. What we do know is that Ukraine exported an impressive 4.4 MMT of grains in December, a monthly total only bettered by November's record 4.6 MMT. They are really shifting up a gear now that this year's all-time high corn harvest is in, aided by warmer than normal conditions keeping freeze disruptions to logistics at bay. They've exported 18.5 MMT of grains in the first half of the season, and the Ministry estimate that they will finish 2013/14 shipping a record 32.5 MMT, and increase of 41.3% on last year. Russia's 2013/14 grain exports meanwhile are a bit more modest, but at 15.7 MMT by the end of December they still represent a rise of 21.4% versus the same period a year ago. Despite the growth in shipments out of the FSU, EU exports are also running well ahead of year ago levels - although there was no update on export licences out of Brussels last week due to the holidays. Both France and Germany are said to have a heavy shipment program lined up for grains for the remainder of January. Further figures are filtering through from Informa's raft of 2014/15 production numbers released on Friday night. They see the EU-28 wheat crop at 143.1 MMT, unchanged from 2013/14. They have the US wheat crop at 63.7 MMT, up nearly 10%, whilst they say that India's wheat crop will rise 4.4% to a record 96.6 MMT. In the FSU they see Russia's crop down 5.8% to 48.5 MMT, with Ukraine's falling 6.8% to 20.5 MMT, although output in Kazakhstan will rise 3.8% to 16.3 MMT, they predict. The EU corn crop will rise 2.3% to 66.4 MMT this year, they predict. Interestingly, they are reported as saying that Ukraine's corn crop will fall from 29 MMT in 2013 to 20 MMT this year. Yet reduced winter grain plantings in Ukraine will see the 2013 corn planted area rise some half million hectares or so, say the Ukraine Ministry. If that's correct then it's difficult to see production falling to that extent, or indeed at all, so I guess that we'll have to wait and see on that one. For rapeseed production, Informa are predicting an EU-28 crop of 21.1 MMT this year, a rise of 1.4% on last year. Whilst the US is gripped by heavy snow and extreme cold, things have been unusually mild in the FSU, prompting some to suggest that lack of adequate snow cover could prove to be a problem if and when a hard freeze does arrive. There are moisture concerns here too. "A dominant ridge of high pressure has prevailed in European Russia, blocking precipitation and increasing worries about drought in winter wheat and rapeseed. Conditions have become extremely dry in Ukraine, especially, where less than half of normal precipitation was received in recent weeks. The 90-day precipitation was also extremely deficient," say Martell Crop Projections. We must also wonder what the UK wheat crop will look like in some parts of the country when it emerges from being under 2 feet of water. Surely we can't be in for 3 disasters in a row, can we? 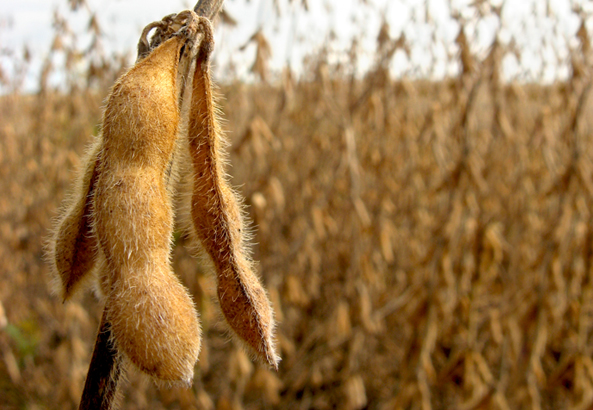 06/01/14 -- Soycomplex: Beans recovered some of last week's losses as the weather forecast for Argentina turned hotter and drier than normal across the next 15 days. Southern Brazil is in for good rains, but northern and central areas are also in for a lack of moisture although temperatures here are seen as normal for the time of year. That might not be too much of a problem in Mato Grosso, Brazil's leading soybean state, as growing conditions in December were exceptionally wet, say Martell Crop Projections. "Mato Grosso soybean potential is believed to be very good based on a 'green' satellite vegetation image valid late in December. This is Brazil’s leading soybean state accounting for 31% of national production, on average. 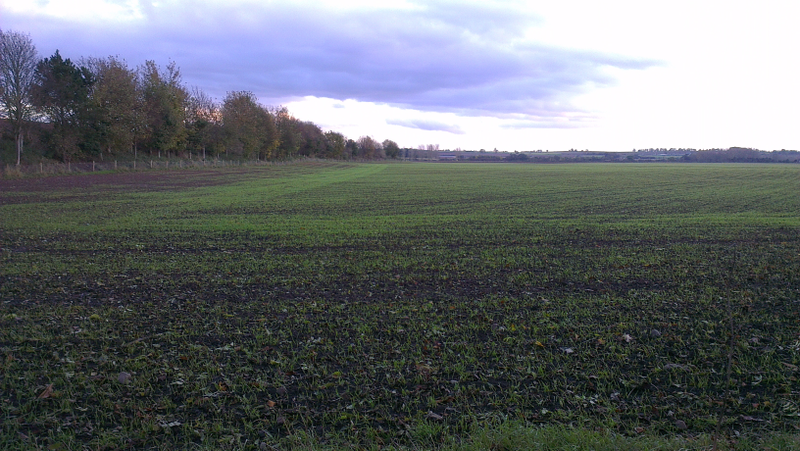 Improved vegetation late in December, increased greenness, suggesting that a favourable crop is in the making," they say. The trade is a little nervous ahead of Friday's USDA report, with trend-following fund traders still holding a large net long position in CBOT beans. Talk of fund rebalancing of positions starting Wednesday could signal that a reduction of this length is on the cards in the week ahead. The trade is thinking that the USDA may raise US 2013 soybean production from the 3.258 billion bushels and yields of 43.0 bu/acre suggested in December. Exports however may also rise now that the US already has net sales commitments in excess of 100% of the USDA target for the season on the books, unless they strongly fancy hefty Chinese cancellations once the Brazilian harvest gets underway in earnest. US soybean exports show no sign of slackening off yet, weekly export inspections were a robust 56.5 million bushels today. That takes the net total for the current marketing year to date to 922.578 million bushels versus 819.96 million a year ago. The Buenos Aires Grains Exchange estimated that Argentine soybean plantings are 87.2% complete versus 83.3% a week ago and 84.9% a year ago. Jan 14 Soybeans closed at $12.96 3/4, up 7 1/2 cents; Mar 14 Soybeans closed at $12.76 3/4, up 5 1/2 cents; Jan 14 Soybean Meal closed at $428.80, up $4.30; Jan 14 Soybean Oil closed at 37.87, down 47 points and the lowest close for a front month since July 2010. Corn: The corn market closed around 4 cents higher, despite news out of China that they'd rejected over 600 TMT of corn and corn by-products (DDGs) in 2013. Maybe the market viewed that as old news? Of more immediate concern may be Friday's upcoming USDA report, with funds sitting on a large net short position in corn, and talk that rebalancing of that position will give corn a (short-term at least) boost. Funds were estimated to have covered in around 4,000 lots of their short position today, and may close out more in the run-up to Friday. Heat and dryness issues in South America, Argentina in particular, are a threat to corn. 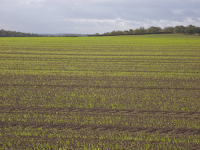 "Severe planting delays resulted from excessively heavy rainfall in November. Argentina crop vegetation appeared worse than normal December 21-31 in a satellite image showing conditions compared to a 7-year average. Smaller plants, due to severe planting delays, may be responsible. However intensifying heat and moisture stress also played a role. The 2 weeks leading up to Christmas were particularly hot and dry," said Martell Crop Projections. The Buenos Aires Grains Exchange said that Argentine corn is now 77% complete versus 72.7% a week ago and 82% a year ago. The USDA announced 110,600 MT of US corn sold to Mexico for 2013/14 delivery. Weekly export inspections of 19.318 million bushels were welll down on the 28.744 million reported for the previous week (with over 5 million bushels heading for China despite the ongoing dispute over MIR 162 corn). Nevertheless, cumulative marketing year to date exports are 471.97 million bushels versus only 263.11 million a year ago. As of December 26th, cumulative corn commitments stand at 77.5% of the USDA forecast for the current 2013/14 marketing year, versus the 5-year average of 56.8%. The trade thinks that the USDA may raise their current US 2013 corn production estimate of 13.989 billion bushels and yield figure of 160.4 bu/acre on Friday. They may also cut harvested acres though. Mar 14 Corn closed at $4.27 3/4, up 4 1/4 cents; May 14 Corn closed at $4.35 3/4, up 4 cents. Wheat: The wheat market traded higher overnight (but lost most of that shine once the daytime session opened), on spillover carry-through from Friday's strong close, still basking in the glow of Egypt and Algeria booking more than 1 MMT of wheat between them. Even so, none of that is likely to come from the US. However, Friday's Egyptian tender does at least show that US wheat is competitively priced on a FOB basis relative to European and Black Sea origin wheat. Strong sales by both the latter two during the first half of the season could see export interest switch back to the US in the second half as stocks tighten. At least that's what the market is thinking might happen. The very cold spell currently gripping the US is not generally thought likely to be too much of a threat to US winter wheat, as almost all of the crop is covered by snow. Bloomberg reported Midwest temperatures as low as -18C today, with Reuters saying that things got as low as -23 in the top US winter wheat state of Kansas overnight. The latter said that whilst western and northern Kansas has about 2 inches of snow on the ground, there is little snow cover in Nebraska. Weekly export inspections were a so-so 13.60 million bushels, up only marginally from 13.39 million the previous week. Nevertheless, the marketing year to date total is 743.04 million bushels, way ahead of 529.14 million this time a year ago. The USDA also reported the sale of 160 TMT of US wheat sold to unknown for 2014/15 delivery under the daily reporting system today. It is thought likely that US wheat futures could also get a shot in the arm from fund rebalancing of positions for 2014 in the week ahead. The latest Commitment of Traders report shows them sitting on a net short position of over 70k contracts in CBOT wheat. Friday's USDA report isn't all about corn and beans for once, as they will also give us their US winter wheat planted area estimate. The average trade estimate for that is 43.531 million acres, a six year high. Mar 14 CBOT Wheat closed at $6.05 3/4, unchanged; Mar 14 KCBT Wheat closed at $6.44, up 1 1/2 cents; Mar 14 MGEX Wheat closed at $6.30 1/2, unchanged. 06/01/14 -- It was a predictably slow start to the first full week of the new year, with EU grains closing mixed, although mostly a little higher following the US lead. Jan 14 London wheat finished the day down GBP0.45/tonne at GBP160.50/tonne - the lowest for a front month since early October. New crop Now 14 London wheat ended GBP0.30/tonne firmer at GBP150.10/tonne, recovering some ground from a finish within GBP0.10/tonne of the lifetime contract closing low on Friday. Jan 14 Paris wheat finished EUR0.75/tonne firmer at EUR208.75/tonne, Jan 14 Paris corn was also up EUR0.75/tonne at EUR173.25/tonne, whilst Feb 14 Paris rapeseed too rose EUR0.75/tonne to EUR367.25/tonne. Fresh news was relatively thin on the ground to get what was for many the first proper day's trading of 2014 underway, but the spillover news from late Friday that Egypt had made their largest single wheat purchase since 2010, and that Algeria too had been in the market for a significant volume, added a bit of underlying support early on. US wheat futures rose on winterkill fears, as Bloomberg reported that the current cold snap saw Midwest temperatures drop to zero F over the weekend (minus 18 C), although most analysts maintain that the bulk of the US winter wheat area has a protective snow covering to help keep possible losses to a minimum. Other left-over news from Friday night included reports that Informa Inc had forecast the EU-28 2014/15 all wheat crop at 143.1 MMT, up from a previous estimate of 140.4 MMT, but still below Strategie Grains' recent estimate of 145.7 MMT. Following Friday's 535 TMT purchase, Egypt said that it now has enough wheat bought to last it until Apr 23. Sources suggest that their under-pressure government wish to return to the norm of the old days and have six months worth of wheat in reserve, which indicates that they may be in the market for more wheat again soon. Their own harvest usually begins in April. India's Ministry said that the country's farmers had planted a record 30.2 million hectares of wheat, up 2% on last year and beating the previous record 29.9 million sown in 2011/12. The government there have set the price that they will pay growers in 2014 quite high, to encourage more plantings and improve profitability with an election coming up. India remain keen sellers of wheat for Jan/Mar shipment ahead of their 2014 harvest which usually begins in the second half of March. Oman are tendering for 40 TMT of Indian wheat for Jan 20-Feb 20 shipment. "Unseasonable warmth extends into Ukraine and European Russia where one of the mildest winters in years (so far) has unfolded. Though temperatures are well above normal, 5-9 F above average, it is still not cold enough to stimulate wheat growth. For example, Ukraine maximum temperatures have reached the mid 30s F in recent days and upper 20s F at night," said Martell Crop Projections. South America weather developments warrant monitoring though, particularly in Argentina where the forecast is drier and hotter than normal (expecting daytime highs of 95-100 F) across the next 15 days, with some corn there entering the key pollination phase. Brazil is seen wet in the south, but dry elsewhere and with average temperatures generally normal for the time of year. Revised crop production estimates are due out from Brazil's CONAB this week, before the USDA give us their version of events late on Friday, London time. Fund re-balancing of their positions (which may support US wheat and corn) is said to be likely to start on Wednesday and last for 5 days.